LOS ANGELES -- After months of rumors, Khloe Kardashian announced she is pregnant Wednesday with a post on her official Instagram account. "My greatest dream realized! We are having a baby!" the reality TV star wrote. Khloe thanked her boyfriend, Cleveland Cavaliers player Tristan Thompson, in the post, saying, "Tristan, thank you for loving me the way that you do! Thank you for treating me like a Queen! Thank you for making me feel beautiful at all stages! Tristan, most of all, Thank you for making me a MOMMY!!!" This will be Khloe's first child and Thompson's second. His son from a previous relationship just turned one. 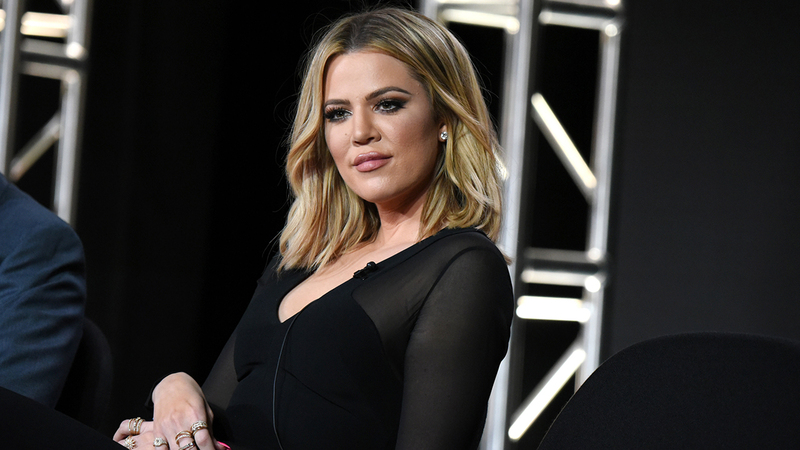 Khloe's older sister Kim is expecting her third child through a surrogate. She has two other children, North and Saint, with husband Kanye West. Kourtney Kardashian also has three children - Mason, Penelope, and Reign - with former partner Scott Discik. "My greatest dream realized! We are having a baby! I had been waiting and wondering but God had a plan all along. He knew what He was doing. I simply had to trust in Him and be patient. I still at times can't believe that our love created life! Tristan, thank you for loving me the way that you do! Thank you for treating me like a Queen! Thank you for making me feel beautiful at all stages! Tristan, most of all, Thank you for making me a MOMMY!!! You have made this experience even more magical than I could have envisioned! I will never forget how wonderful you've been to me during this time! Thank you for making me so happy my love! Thank you to everyone for the love and positive vibes! I know we've been keeping this quiet but we wanted to enjoy this between our family and close friends as long as we could privately. To enjoy our first precious moments just us Thank you all for understanding. I am so thankful, excited, nervous, eager, overjoyed and scared all in one! But it's the best bundle of feelings I've ever felt in my life!"